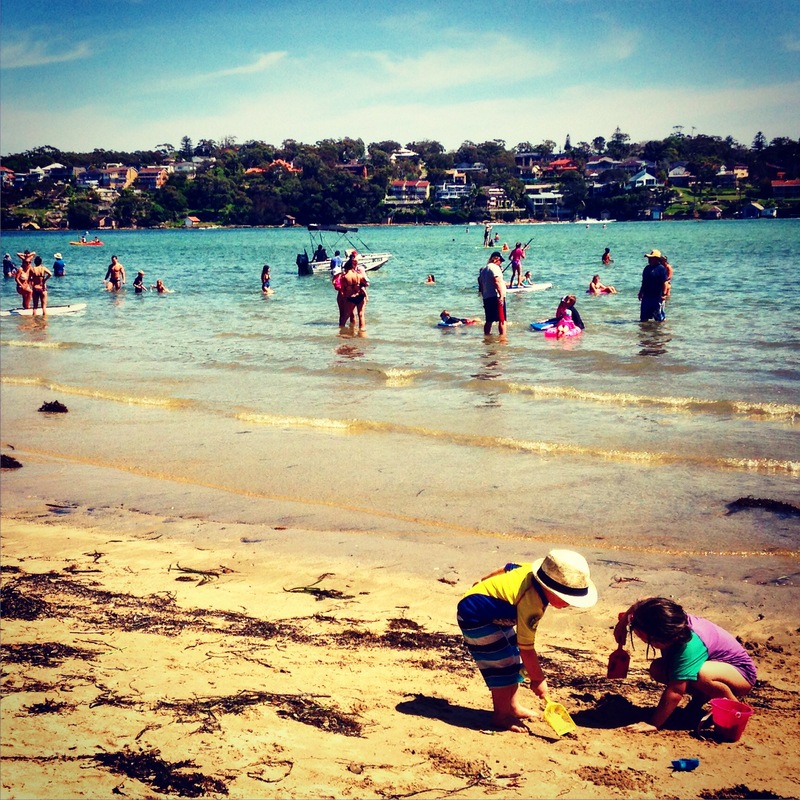 Heading into another gorgeous Sydney summer and of course I’m starting to think about the beach again. And I’m not the only one. An unusually hot long weekend for early October and my instagram account is full of photos of people at the beach: kids building sandcastles, adults drinking cocktails, dogs lolling in the shade, and of course swimming, sunbaking, and board riding in all of its (still multiplying) manifestations. Journalists and politicians are starting to think about the beach again too, and the traditional news articles about beach pollution, surf lifesaving seasons and shark activity are beginning to appear. But on the latter count at least, the stakes appear higher than in the recent past. After three-quarters of a century with relatively few serious shark attacks in NSW, and thankfully even fewer fatal attacks, sharks appear to have made their presence more known over recent years. A shark summit held in Sydney last week to consider options for improving swimmers’ safety brought the issue back into public attention. Like the expert committee appointed by the NSW Government to investigate methods of protecting bathers from sharks in 1934, this group considered a number of innovative approaches, some of which, such as the bubble curtain, were discussed and dismissed 80 years ago. In the mid-1930s, the Shark Menace Advisory Committee was appointed following 17 shark attacks on Newcastle and Sydney ocean beaches in the previous 16 years, nine of them fatal – statistics far beyond comprehension of most Sydney beachgoers today. The committee heard over 100 suggestions for schemes that ranged from the bizarre – such as requiring bathers to wear black bathing suits with bells on the headgear or stationing soldiers on beaches with ‘light howitzers, mortars or other high trajectory guns’ – to the effective but expensive possibility of erecting shark-proof enclosures on all beaches – like those that can still be found at Neilsen Park and Balmoral. Surprisingly perhaps given the recent attacks, the committee found that there was no ‘shark menace’. 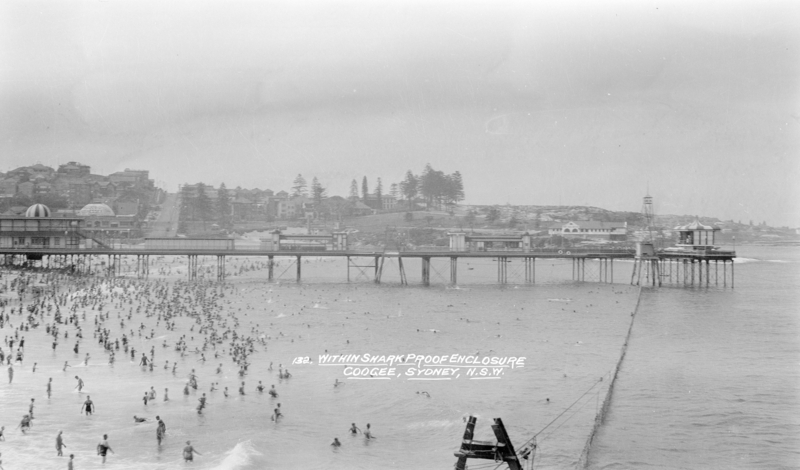 It reassured the beachgoing community that swimming in the surf was one of Australia’s safest and healthiest recreations, and admonished the media for unnecessarily fuelling public hysteria. This was a critical role of both the committee and the shark meshing program it recommended: the nets which continue to be laid along the coast each summer. Beachgoers, scientists, politicians, journalists and shark enthusiasts across Australia have long argued about the most effective and economical ways to protect people from shark attack, and they will continue to do so. Unlike the Jaws-eque ‘catch’n’kill ’em all’ approach of the mid-1930s, governments must now balance swimmer safety against community demands for an ecologically-balanced approach, as the West Australian Government recently learned, making the task even more challenging. But some of the new approaches such as shark spotter programs and deterrents may yet prove effective and shark-friendly. Yet regardless of any government programs – whether meshing in NSW, proposed shark culls in Western Australia or baited hooks in Queensland – as swimmers and surfers we all need to accept some responsibility for the risks we take in wading into the ocean. Is it safe to go back into the water? I dunno, but I’ll be doing it anyway! And I hope you join me.